How Far is Sai Proviso County? 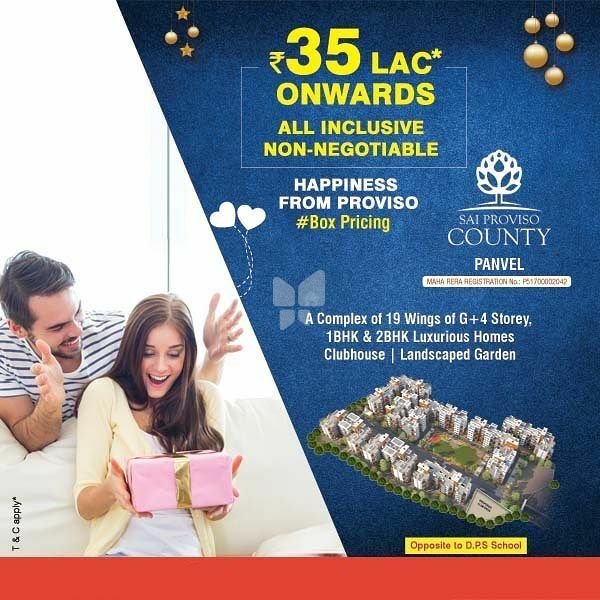 Sai Proviso County is developed by Proviso Group in Navi Mumbai at Panvel. We see dream every day and have strived to achieve the dream, at Sai provision Country you can see all those dreams coming in real. You can find all the facilities and amenities a home buyer needs that would take away all worries and always keep you fresh and rejuvenated. Sai Proviso County at Panvel a residential project consists of the apartment for sale in Panvel with different dimensions. 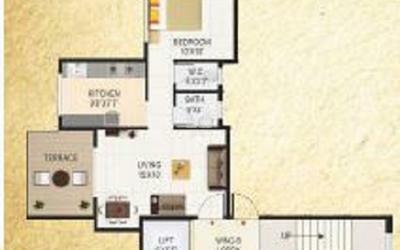 1BHK, 2BHK flats with garden & terrace. Where 1BHK flats super built-up area is 461 Sq ft, 586 Sq ft and 2BHK flats super built-up area is 608 Sq ft.
Each space in this project is carefully designed with beautiful interiors and exteriors. so that you can get natural light as well as well ventilation in your home. To make your life hassle-free, top-notch facilities and modern-day amenities are provided at Sai Proviso County. If you aspire to live in a modern apartment that elevates your standard of living and serves all the luxurious needs, as it is a perfect housing solution. Sai Proviso County consists of amazing amenities, some of them are the air-conditioned gym, amphitheater, intercom, club house, parking, kids pool, toddlers park and more. Parking charges additional & maintenance at the time of possession. 15 minutes from Orion Mall.